You have to take a ride in Fukuoka! The view from about 3 meters up is sure to give you a different experience of Fukuoka! Feel the nature and the wind of Fukuoka,while basking in the ray of sun, and fully enjoy the one-hour attraction. 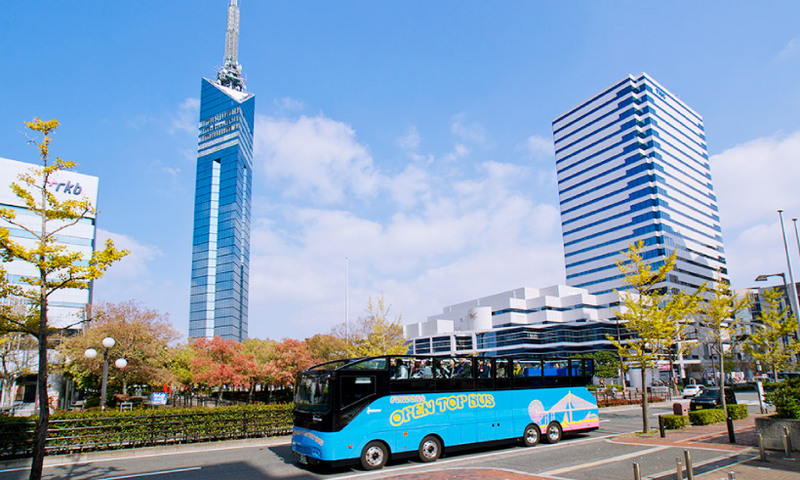 – Tour around the Fukuoka central urban area, including Fukuoka Yafuoku Dome and Fukuoka Tower, while viewing the costal scenery on the urban expressway. – Mainly tour around the historic Hakata area from the bayside area, including JR Hakata City and Kushida Shrine. The night view from the urban expressway is a must see. 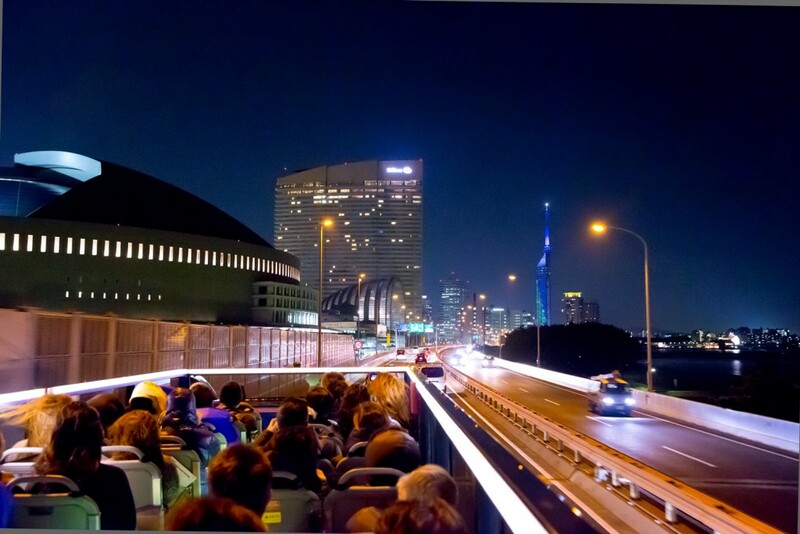 Fully enjoy the night views from Hakata area to Fukuoka Tower. Nishitetsu Train: 4 minute walk from “Fukuoka Tenjin Sta.”. Subway : 4 minute walk from “Tenjin Sta.”. Bus : 4 minute walk from “Nishitetsu Bus Center”. Children under the age of 4 are not permitted to ride.